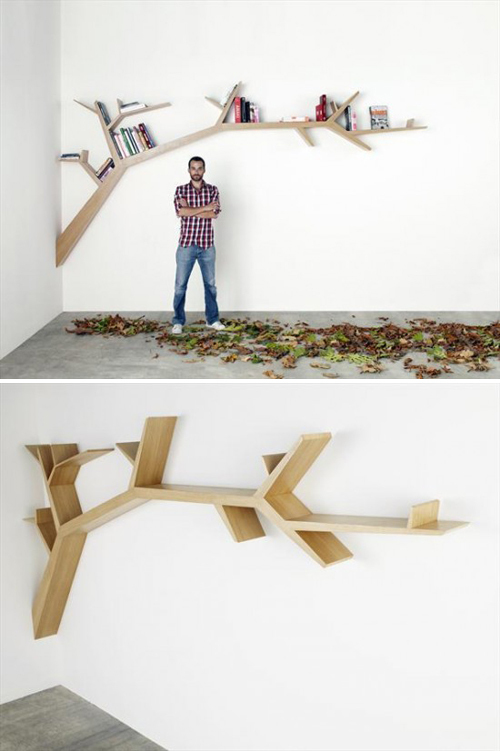 Today I’m loving .. this branch bookshelf from French designer Olivier Dollé. It is made from oak veneer on a hollow plywood structure. This is really stunning….love it!!! WOW! Great design. Love it!! This is so lovely! I think it’d be gorgeous in a child’s room. Wow, lovely, great, beautiful etc. ! Tanks for sharing. Where can i find one of these and how much is it? I would really love one in my house! saw one of these in Ikea of all places would you beleive? although it looked cheap and nasty and the laminate was coming off. very nice modulation of the bookshelf idea, congratulation! Awesome! Where can I purchase this bookshelf?